Dr. Mai Pham is an accomplished and highly respected Comprehensive Ophthalmologist and Cornea Subspecialist with extensive training and experience in corneal, cataract, refractive, and anterior segment medicine and surgery. She brings substantial experience and expertise as a physician, educator, scholar, and researcher to Eye Physicians of Long Beach. 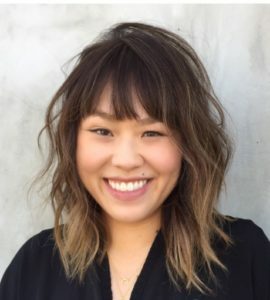 Dr. Pham attended UCLA with a National Merit Scholarship, completing her undergraduate degree with distinction in Molecular, Cell, and Developmental Biology. From Los Angeles, Dr. Pham’s continued pursuit of educational excellence with the goal of ultimately bringing the best to her patients, led her to travel to the East coast, to receive her M.D. with Honors from Boston University. Dr. Pham then completed her Internal Medicine Internship, Ophthalmology Residency and Chief Residency at Geisinger Medical Center, in association with Wills Eye Institute, in Pennsylvania. Upon realizing how much diseases of the anterior part of the eye contribute to patient eye troubles, and decrease patient quality of life, Dr. Pham undertook additional Corneal Fellowship studies and an assistant professorship at the University of Missouri’s Mason Eye Institute. Dr. Pham, as a Cornea Subspecialist and Comprehensive Ophthalmologist has a great focus and passion for the treatment of dry eyes, cataracts, and refractive surgery, and gains great fulfillment from continual learning, overseeing clinical studies bringing the latest treatments to patients, and using the latest technologies to manage eye conditions in order to improve her patients’ quality of life. Dr. Pham considers practicing medicine a great privilege and an honor; the aspect of Medicine and Ophthalmology that is most important and rewarding to her is the relationship she builds with each of her patients. Her compassion, intelligence, technical skills, ability to educate, warmth, and dedication to lifetime learning, allow her to provide individualized, state of the art, patient-centered care, in order to optimize her patients’ health and quality of life.